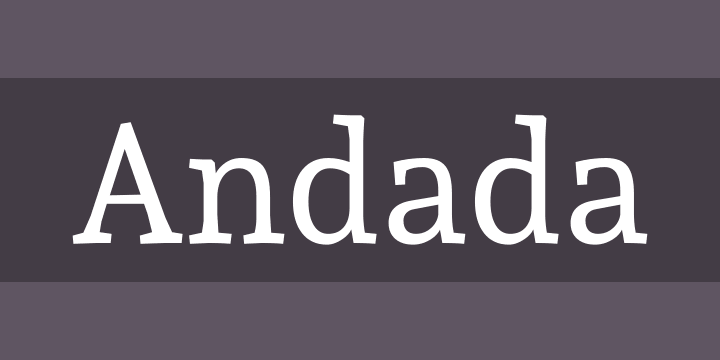 Andada is a text font with an organic-slab serif, hybrid style, a solid design of medium stroke contrast. This font has received an award at the Ibero-America Design Biennial. The Biennial has been shown in Spain, Argentina, Chile, El Salvador, Uruguay, Bolivia, Colombia and Venezuela. Designed by Carolina Giovagnoli for Huerta Tipográfica. To contribute to the project contact Carolina Giovagnoli.